Evil, Inc. is a corporation run by super-villains for super-villains... because you can do more evil when you do it legal. Join the CEO (Chief Evil Officer) Evil Atom, a Silver-Age-villain-turned-businessman; Lightning Lady, a recovering supervillainess; Dr. Haynus, a brain-in-a-jar symbiotically joined to a puppy dog; and the rest of the employees who give a new meaning to "punching in" for the day. In volume 3, the villainous "Nemmie" Awards are announced for best nemesis. Also, Captain Heroic recounts how he met - and fell in love with - the woman who became his wife, the villainous Miss Match. 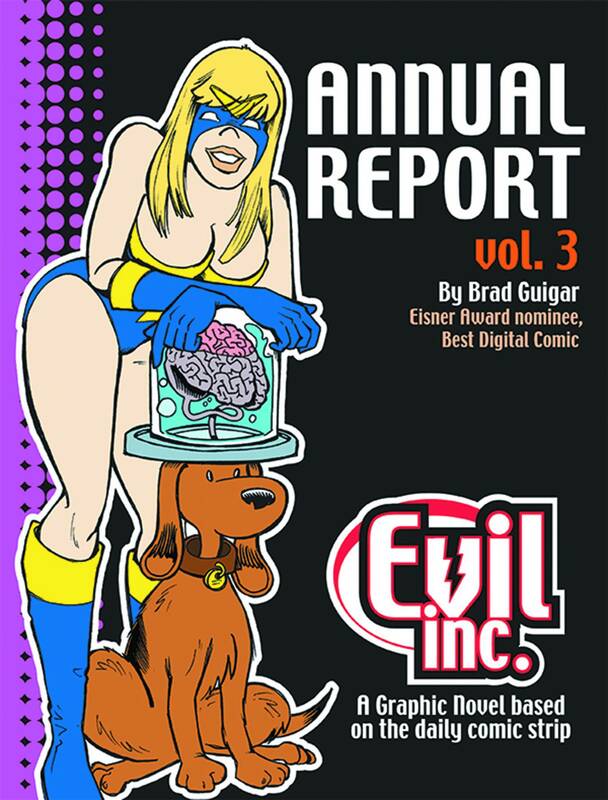 In volume 4, Captain Heroic finds himself named the CEO of Evil, Inc. with a mandate to curtail the company's evil commerce without losing money.